Cinnamon Imperial Hearts - 1 lb. 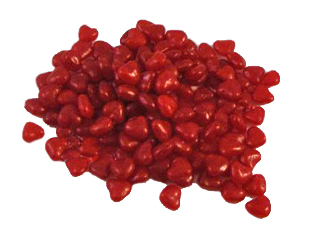 Also known as "Red Hots", these tiny heart-shaped hard candies are a spicy cinnamon flavor. They are perfect for baking, decorating goodies, or simply enjoying plain (by the handful!). They come packaged in a one pound bag.